A major grain length QTL on chromosome 5H was fine mapped from 180.5 to 1.7 Mb. Quantitative trait loci (QTLs) mapping has been used extensively in barley to detect QTLs that underlie complex traits such as grain size. 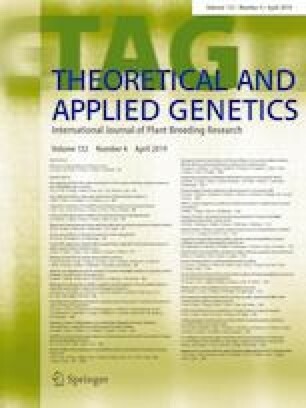 In the present study, we utilised 312 double haploid lines derived from a cross between two Australian malting varieties, Vlamingh and Buloke, to dissect the genetic control of a number of grain size characteristics. Digital image analysis was used to measure grain size characteristics including length, width, thickness and plumpness which are important traits influencing barley yield and grain physical quality. Using data from four independent environments and molecular marker genotype data, we identified 23 significant QTLs for these four traits, ten of which were consensus QTLs and identified in two or more environments. A QTL region on chromosome 5H designated qGL5H that was associated with grain size was fine mapped to a 1.7 Mb interval. qGL5H was able to explain 21.6% of phenotypic variation for grain length within the population. This major QTL is an appropriate candidate for further genetic dissection. The online version of this article ( https://doi.org/10.1007/s00122-018-3243-y) contains supplementary material, which is available to authorized users. This work was conducted with funding support (UMU00049) from the Australian Grains Research and Development Corporation (GRDC). Sue Broughton from DPIRD developed the doubled haploid population. Research was not possible without help from the Western Barley Genetics Alliance and Murdoch University whom provided facilities and expertise. This article is submitted in compliance with the ethical standards of Theoretical and Applied genetics.